Fried tacos: In small frying pan, heat oil until a drop of water sizzles immediately when added to it. Fry tortilla lightly on one side. Turn and fry lightly on the other side. Before tortilla becomes crisp, bend it in half, using tongs and a fork to hold it steady and crisp the folded end. Remove from oil and drain on paper towel. Repeat with all 12 tortillas.Heat filling until steaming. Place one to two tablespoons filling mixture inside taco shell. Add shredded lettuce, onions, tomatoes and top with cheese. Repeat for all tacos. Serve immediately. 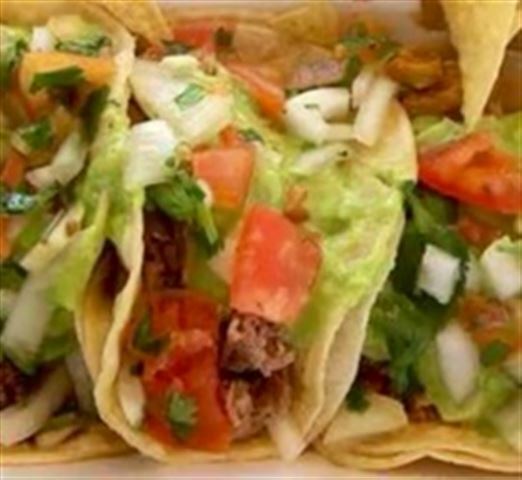 Street tacos (soft tacos): The difference here is that soft tacos are not fried. Heat tortillas in the oven or microwave until hot and pliable. Fold and fill in the same way as fried tacos. If your tacos seem inclined to fall apart, try using two tortillas for double the strength. Serve immediately. NOTE: Soft tacos are served street side in Baja. I include corn tortillas, along with flour tortillas at all fiestas where people build their own tacos and burritos. Quesa-tacos (a Mexican street taco extravaganza): One of my all-time favorite tacos are carne asada quesa-tacos. The only difference between soft street tacos and these are that after you fill the corn tortilla with meat, you add some grated Jack cheese and flip it back onto the grill (or frying pan) until the cheese is melted. Then add the rest of the goodies. They are beyond delicious! Brilliant how to article on tacos. Although it's a basic article, it goes ahead and explain the differences between 3 types of tacos that can be made. Very good recipe, also I found this iPhone app, http://itunes.apple.com/tr/app/real-tasty-tacos/id549673026?mt=8 very helpful. Cheers.